Take things slow and focus on nutrient dense foods, which are also low in calories – for many people, that means switching sugar-packed sodas for their low- or zero-sugar equivalents. So it may come as a surprise to learn that those low-sugar alternatives are really not better for you at all, and they’ll do nothing whatsoever to help you lose body fat. Here’s why. “Diet soda is not a health food. In fact, it’s not a food at all, it’s simply a slurry of chemicals, a number of which may have deleterious effects on the body.” This is a quote from Sharon Fowler, Sharon Fowler, an epidemiologist at San Antonio’s University of Texas Health Science Center. 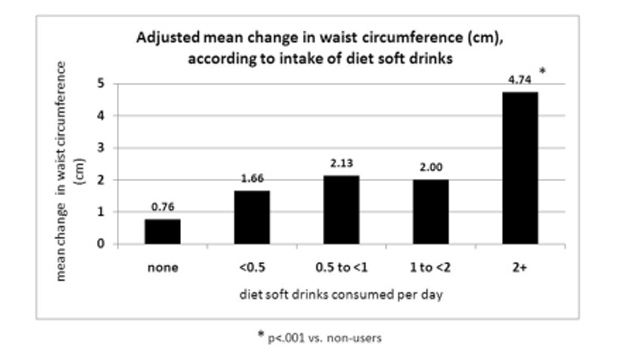 Here are the simple facts: studies have shown there’s a stronger link between diet soda drinking and obesity than there is between regular soda drinking and obesity. How can that be? Fewer carbs and fewer calories should mean less body fat – but there’s an important fact left out of this equation. There are a few key reasons why this is the case. 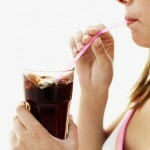 For starters, diet soda drinkers have a tendency to consume a larger amount of calories overall. This is the, ‘What I’m drinking is healthy, so I can drink more of it’ phenomenon. Although the soda you’re drinking may technically be lower in calories, the tendency is to consume a larger quantity than you normally would if you were drinking something you knew was packed with sugar. The other is related to your body chemistry. It turns out that the artificial sweeteners used by soda companies to replace sugar have some pretty devastating effects on your hormones and metabolism.